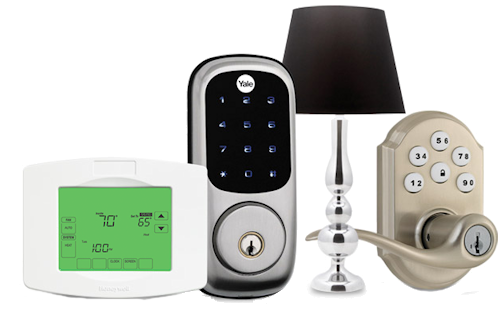 No-term contract home alarm monitoring starting at $10 a month for existing security systems. 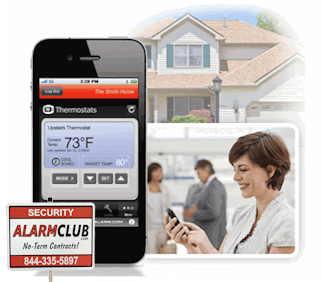 Our nationwide home alarm monitoring services save you money each month, on your home security bill! 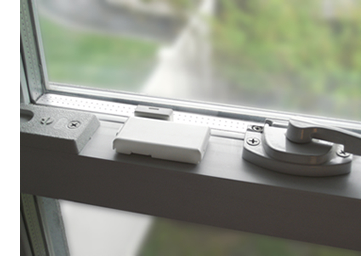 From indoor and outdoor motion sensors, door and window protection, glassbreak detectors, flood and temperature sensors and more. Our full line of hardwired and wireless home security sensors provide you with a higher level of protection inside and out of your business. Now you can control home automation from anywhere, and at anytime. Automate your thermostats, garage doors, lights, locks and water valves around your home via Z-Wave enabled devices or remotely when using our smart app control. You can even randomize lights for a lived-in look while you're away and set scenes that correspond to sunrise and sunset times! Our next-generation home security cameras include indoor HD cameras and outdoor HD security cameras. 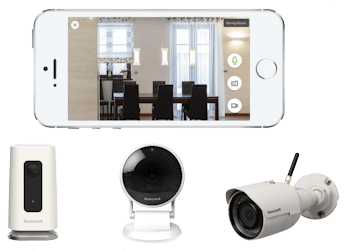 The indoor cameras allow users to see, hear, talk, and take a snapshot or record a video clip - all from a single screen in the interactive monitoring app. Advanced features including night vision, audio analytics, cloud storage options, microSD card backup storage in case of internet connectivity issues, digital zoom, and more.